PEBBLE BEACH 2015: TOO COOL FOR SCHOOL! Postwar Mercury Customs share Pebble Beach’s 18th fairway with the world’s finest classics, racecars and sports cars. 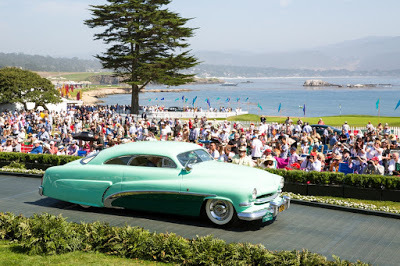 More than half a century after Ken Gross watched the coolest guy at his high school drive down the street in his chopped ’51 Mercury, he put together the first-ever postwar class of Mercury Customs (Class R) to be shown at the Pebble Beach Concours last weekend. 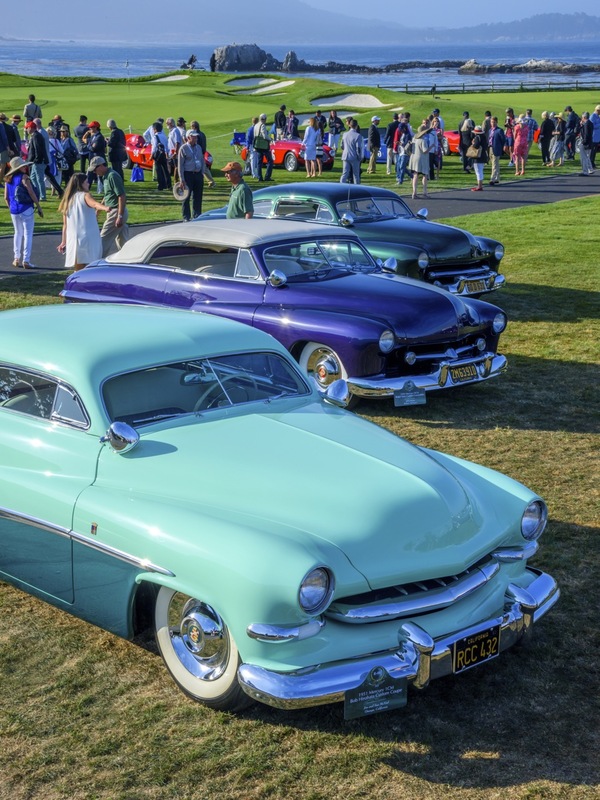 A Pebble Beach Selection Committee member as well as Chief Class Judge and automotive journalist, Gross has made it his mission to bring a measure of cool to the18th fairway of Pebble Beach Golf Links. 1st Place: ‘51 Mercury 1CM Bob Hirohata Custom Coupe, Jim and Sue McNiel, Orange, CA, Photo: Steve Burton. 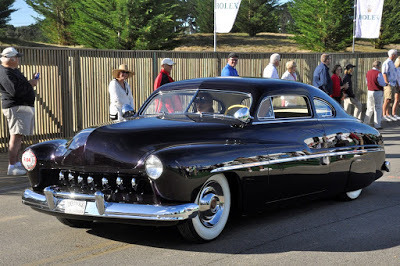 2nd Place: ‘49 Mercury 9CM Sam Barris Custom Coupe, John Mumford, Portola Valley, CA, Photo: Kimball Studios. One of the most eye-catching Barris Kustoms (Sam and his brother George soon began spelling their shop, and their creations, with a K) was an arresting lime-green ’51 Merc, customized for Bob Hirohata, which was used in the B movie, Running Wild, with screen siren Mamie van Doren. One of the most recognizable was the mildly customized ’49 Mercury coupe James Dean drove in the 1955 Warner Brothers film, Rebel Without a Cause. 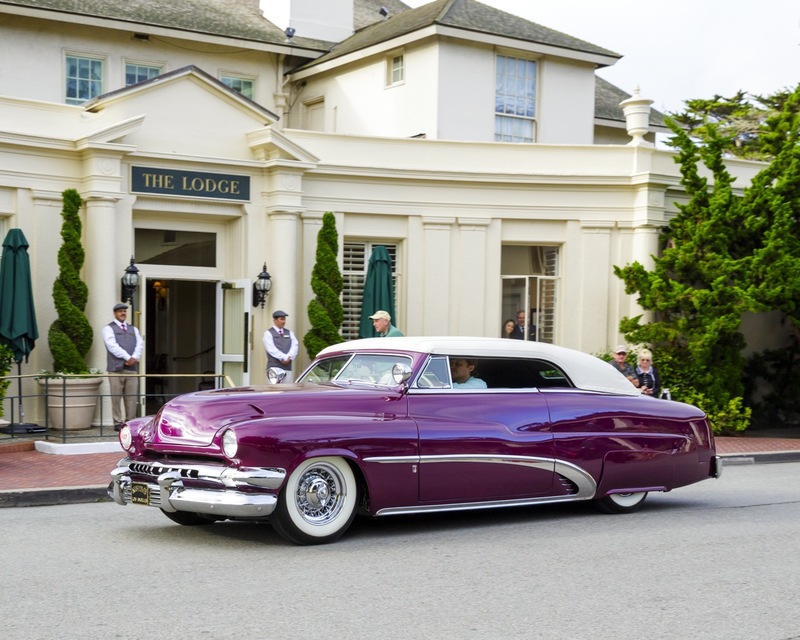 3rd Place: ‘50 Mercury OCM Wally Welch Custom Coupe, Justin Mozart, Palo Alto, CA, Photo: Greg Guggenheim.